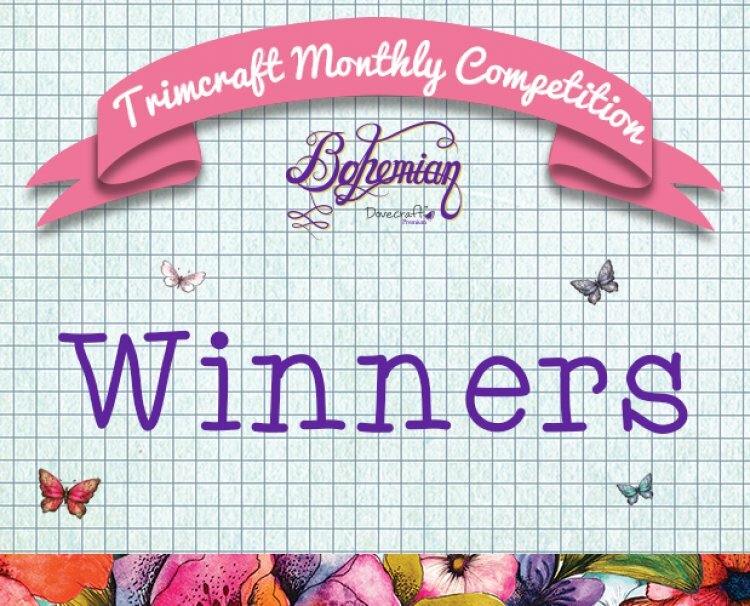 Thank you to everyone who entered, the beautiful Dovecraft Bohemian collection are perfect for your summer inspired creations with its stunning papers and embellishments. We will be in touch soon to arrange your prize; we hope you will enjoy crafting with your prize and look forward to seeing your creations in our project gallery. Check back this Thursday for July's competition!